After looking at collections from biodiversity surveys of a 10,000 km2 area now known as Limmen National Park, Bucknell University biology professor, Chris Martine, decided to form an expedition to relocate and describe a mysterious bush tomato uncovered during the government-sponsored studies. A year later, Martine and his co-authors, including an undergraduate student, have published the new species in the open access journal PhytoKeys. The discovery offers a powerful case for investing in conservation through park systems at a time when these systems are under threat. Research co-author Jason Cantley, posing with Peter Jobson and his namesake, Solanum jobsonii. For the team of US scientists, knowing where to go was one challenge, but understanding the landscape in such a remote corner of the Australian Northern Territory and figuring out how to get there was quite another. 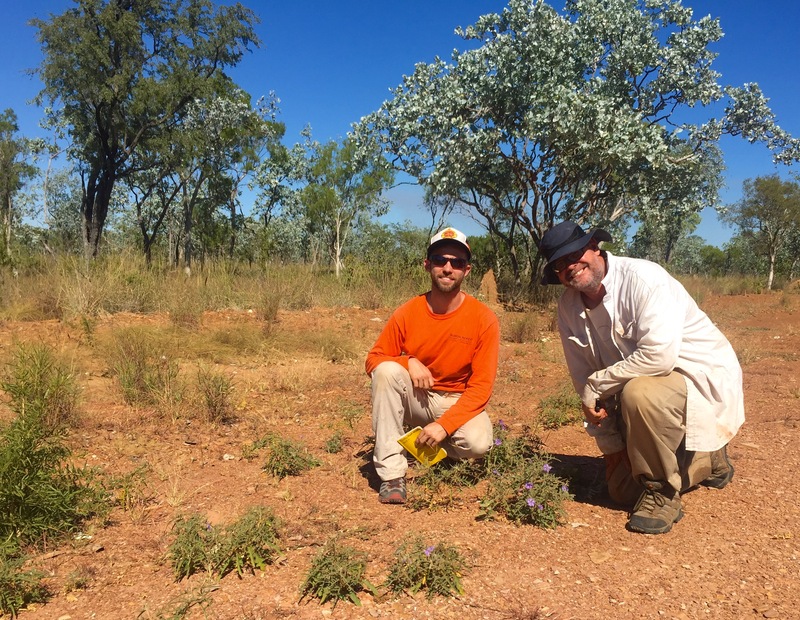 Martine and his team from Bucknell (undergraduate lead author Mae Lacey and postdoctoral fellow Jason T. Cantley) could not do it without the local assistance and expertise of Peter Jobson, Senior Botanist at the Northern Territory Herbarium in Alice Springs. 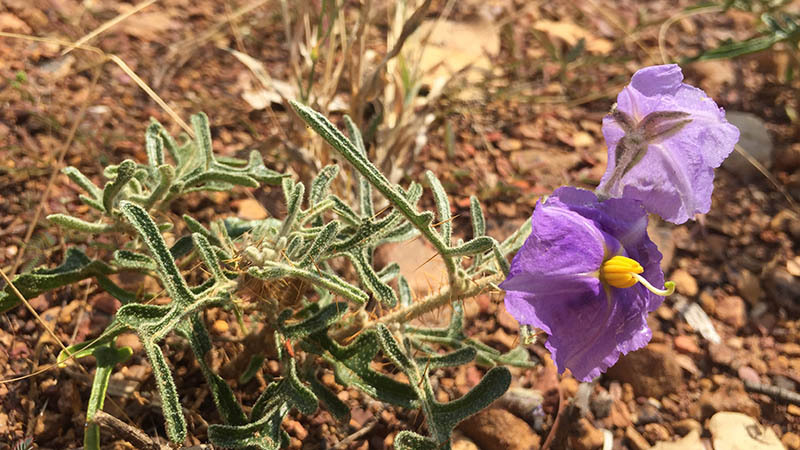 To acknowledge the pivotal role of Jobson in the successful search, the new species, Solanum jobsonii, has been named after him. Martine named a previously discovered species for Ian Cowie, the Curator at the Northern Territory Herbarium in Palmerston, in 2011. Solanum cowiei, a species from Litchfield National Park, was described in a paper appearing also in PhytoKeys. The scientists hope that the discovery of this latest new species turns a spotlight on the importance of protecting natural areas and supporting the individuals who are charged with their care. The new species, a relative of the cultivated eggplant, has been recorded under specific habitat conditions from only four locations in the monsoon tropics of northern Australia. Because of this, Martine and his colleagues have suggested that it be listed as “Vulnerable” as per the Red List Categories and Criteria of the International Union for Conservation of Nature.